This week Dave sits down with one of the most talented comic book artists of all time Greg Horn! Greg is known for his covers he’s done for She-Hulk, Emma Frost and Elektra. And today is the exclusive artist for the Gamestop variant covers released by Marvel, including the Death of Wolverine and The Amazing Spider-Man #1. So sit back and enjoy this rare and exclusive long-format interview with the Gregarious Greg Horn! On this episode of the interview show, Derek talks with Charles Soule about his most recent creator-own works, specifically Strange Attractors (Archaia) and the currently ongoing Letter 44 (Oni Press). They spend most of their time discussing the latter and the various narrative threads and subplots interwoven within the series. In their conversation, Charles tells Derek about the extent of his research for the title, his love of NASA history, the intrigue of writing political drama, and the ways in which his background in law helped give birth to series’ premise. They also discuss the contemporary rootedness of Letter 44 and the extent to which recent presidential history plays out in its storyline, albeit ramped up and taken to speculative extremes. Much of the conversation is also devoted to Strange Attractors, a book similar to Letter 44 with a high concept and a keen scientific bent. Charles explains how his interest in complexity theory and his love of New York City combine to create an unlikely sci-fi drama. But even though Derek is mostly interested in his non-mainstream work, he nonetheless asks Charles about his efforts in the DC and Marvel Universes — e.g., his experiences writing Swamp Thing, Death of Wolverine, Superman/Wonder Woman, and She-Hulk — how he balances the superhero narratives with his creator-owned work, and the ways he negotiates both franchise limitations and fanboy expectations. All in all, it’s a fun interview, with listeners being able to hear about creative facets of Charles Soule that rarely surface in other interviews. Episode 14! Recorded on 2/20/2015. Erik and James discuss Nova #27, She-Hulk #12, Uncanny X-Men #31, All-New Captain America #4, Captain America and the Mighty Avengers #5, and Silver Surfer #9, among other things. They ran long on comic talk, so didn’t get into one of their usual hypothetical make-em-ups to end the show, except for a quick bit about Disney princesses & princes. Erik teases an upcoming project involving a certain mental organism designed for stuff. And there were beers. Lots of beers. In this episode we review the Original Sin books books of May 2014 with guest host Blob Guy. 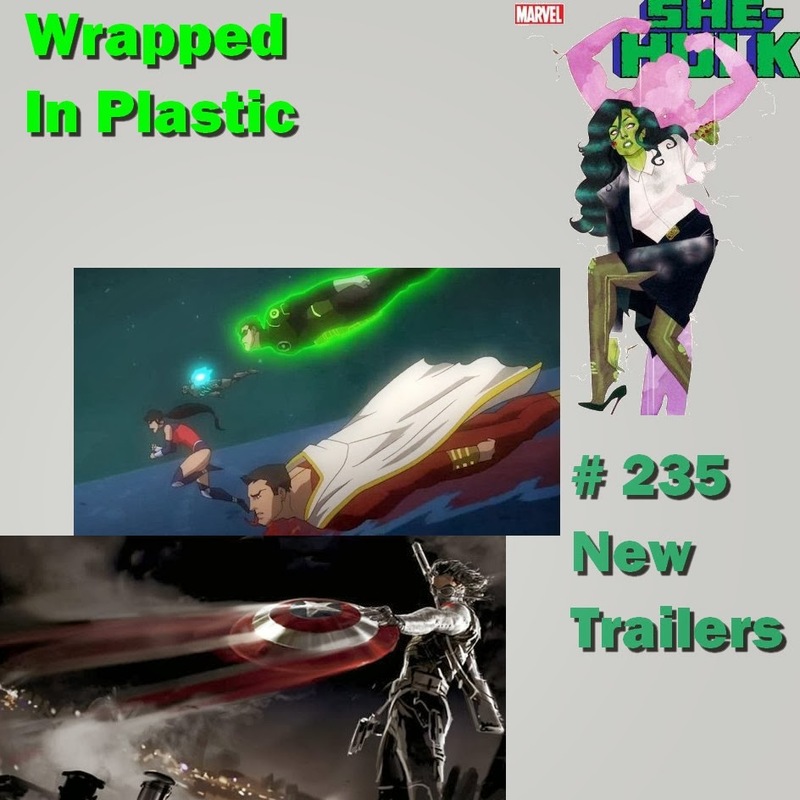 In this episode we answer listener emails and review Deadly Class, She Hulk, Superior Spider-man and Fantastic Four. Also the crew composes their list of the top ten influential writers in comics. This week we talk Batman #28, She-Hulk #1, Sidekicks #5, Rucka is on a space opera, Green Lantern is about to get girly, Billea and Vicki finally come to an agreement about Spider-Man, lessons in how not to be an a-hole, and Jimmy the Cab driver makes his way to Gotham. On this episode: New books, Justice League “War” & a roundup of movie trailers. This week the Dollar Bin crew gathered for the first time at Heroes & Dragons in Columbia, SC. Capping off the celebration of Women’s History Month they celebrate Women-in-Comics! I forgot to turn on one of the microphones. Can you guess which one? F BombCast 75: Contest Time! Well folks, we have been doing this for about 75 shows now and we decided it was a good time for you all to make your own intro. The contest announced last episode is upon us, and TJ uses his handy dandy random number generator to help with the results. Also a new contest is announced and the winners will be announced on episode 80. A lot of stuff is discussed in this show: The Crazies, Whiteout, Suspiria, Step-Brothers, some dutch film, and Constantine. Get your laugh track ready cause sitcoms are our top five, then plenty of glorious comics talk. She Hulk, Wonder Woman, Human Target, Super Girl, Young Inhumans, Choker, and Wildstorm after the Fall all get a good amount of time. Which two do TJ think are some of the worst comics written? Listen and find out. Leave us an iTunes Review for a chance at cool prizes. Download from www.fbombcast.com or from iTunes, Zune or any other of the new technological devices. Disenfranchised by the modern comics industry, Scott Gardner and Michael Bailey now ply the timestream in a never-ending quest to re-discover and re-connect with that unique brand of fun and excitement that can only truly be found in good ol’ fashioned randomly-selected Comic Book back issues!! Journey with them now…back…Back To The Bins! !